Black Sea Salt is solar-evaporated Pacific sea salt combined with activated charcoal made from coconut shells. 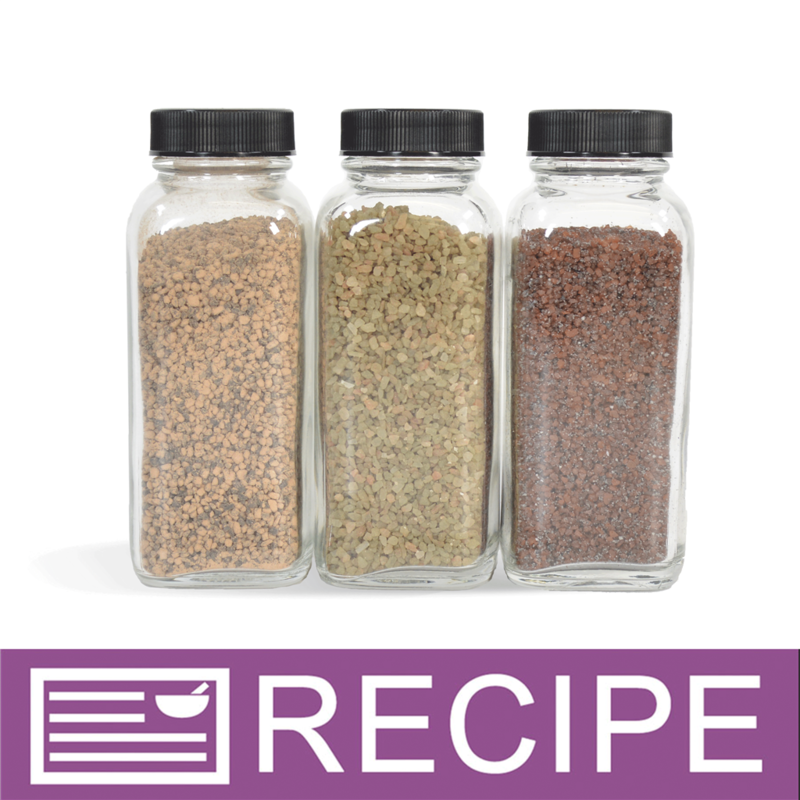 Small grain size is ideal for bath soaks and salt bars. "Perfect addition to salt scrubs!!" COMMENTS: Fine and very black. 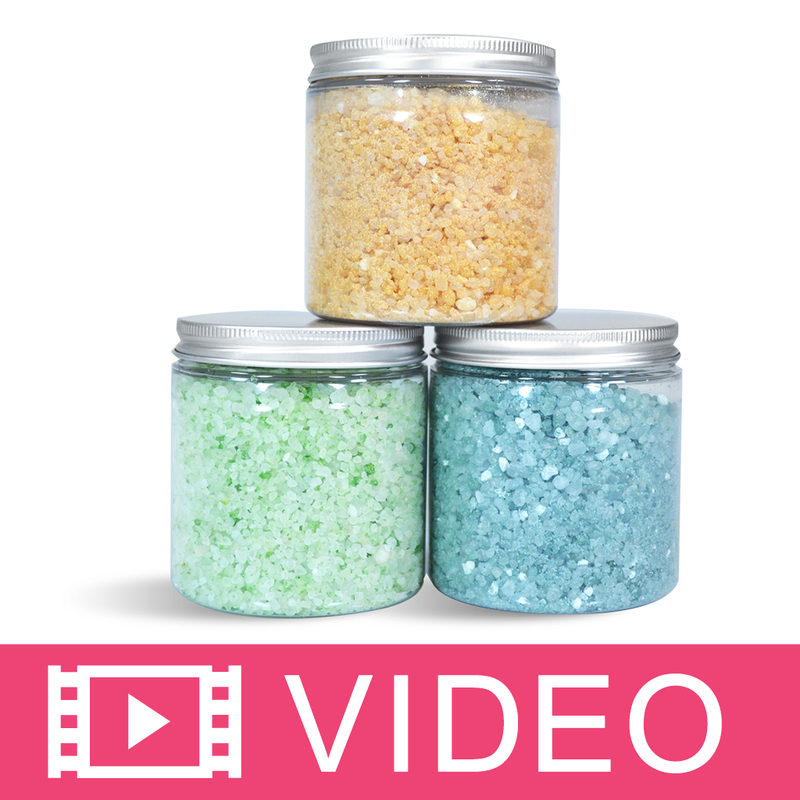 This salt takes salt scrubs for ordinary to extraordinary. Two thumbs up!! COMMENTS: love the contrast of this salt with other colors and even white. Great for detox benefits as well. COMMENTS: I use this in one of my soaps and one of my bath salt blends. Looks awesome! COMMENTS: I want to say thank you for the Handmade 101 recipes. I used this to make the scrub and was very excited about the way it added a great POP the look of my scrub. 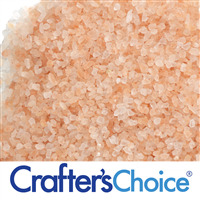 I had seen this salt before and it is a bit too pricey for a product but as a accent its great. Now that I have tried it I can see a lot more applications. Thanks for the boost to my creative juices! COMMENTS: Looks so cool mixed into my bath salts. COMMENTS: Used on top of some soap as a mild exfoliant and embellishment, love the look! COMMENTS: This salt look great in my bottled salts. 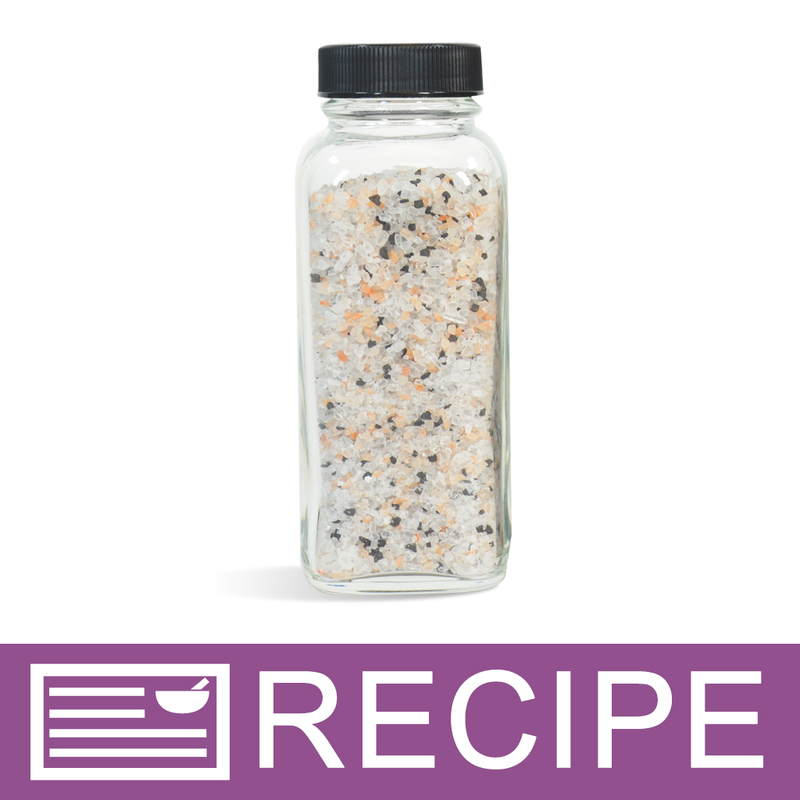 I made the WSP recipe foot soak as well as a bath soak for my males and they loved it!! 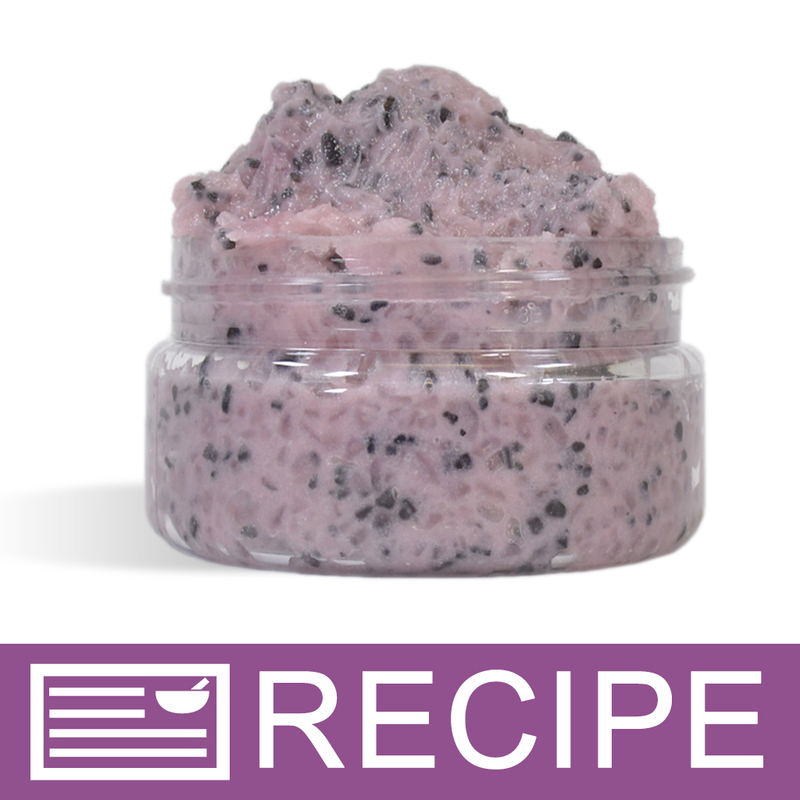 "Does the activated charcoal separate from the salt when used as a bath salt 8. The bath tub?" Staff Answer Yes, the charcoal does separate and come off in the bath water. "I used this salt in face scrub mixed with pink salt. The scrubs went rancid much faster than when I don't add it. Any idea why this may have happened?" Staff Answer We do not feel it was the Black Sea Salt that made your scrub rancid. Be sure your oils are new, you have added Vitamin E or Rosemary Oleoresin as an anti-oxidant and also a preservative for any possible water contamination. "Is the black sea salt food grade?" Staff Answer No, this salt is not food grade. "How many cups are in a pound?" Staff Answer There are approximately 1.5 cups in a pound of salts. "Hi! 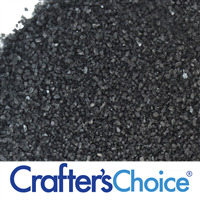 I want to use this black sea salt in cp soap colored with titanium dioxide. I saw this is sea salt mixed with activated charcoal. Will the activated charcoal separate from the sea salt & color my white soap black/grey? Thank you for your help! Susan"
Staff Answer We have not used this salt in a soap recipe but it is very possible the charcoal may come off the sea salt and discolor your soap. You may need to test in a small batch.